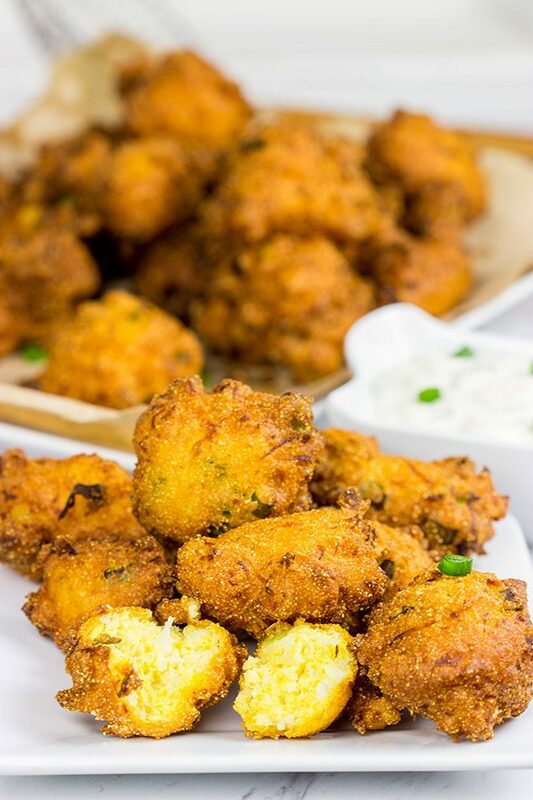 Often served with fried fish, Hushpuppies are a classic southern side dish! The front living room in our house has full-length windows facing the street. That means Max just needs to stand there and look out. He watches the mailman go by each day. He keeps an eye on the neighbor when he’s working in his yard. He yells at the UPS man. And God forbid someone actually ring the doorbell. They’d probably think a 100-pound attack dog is about to come barreling through that door! And no matter how many times I tell him to hush, he doesn’t listen. He’s a stubborn dog, but we love him! I’m thinking a good batch of hushpuppies would help distract Max from his self-appointed guard dog position. 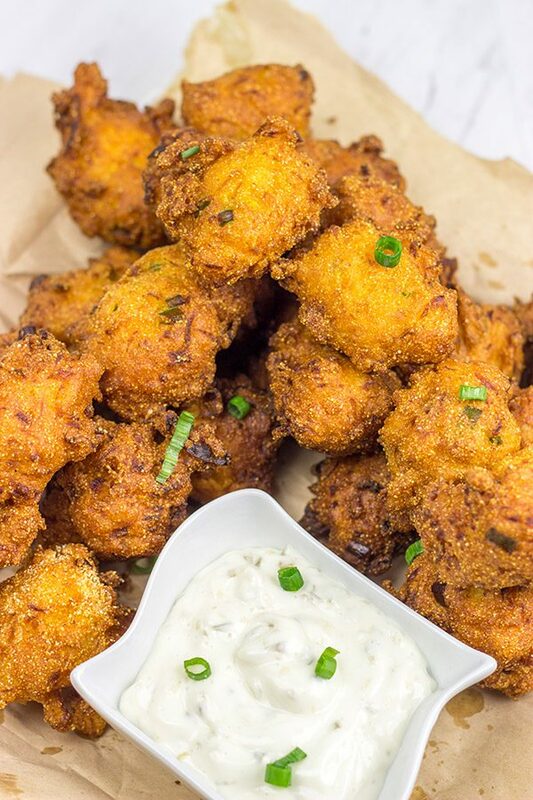 Hushpuppies are a classic Southern food. They’re essentially just fried cornbread batter, but man are they delicious! According to legend, fishermen would fry up bits of the leftover cornbread batter from dinner and then give it to their dogs as a snack. “Hush, puppy” soon become hushpuppies. Some folks will tell you that the term actually came about in the Civil War when soldiers wanted to keep their dogs quiet. As with many such regional foods, the real origin is murky. And you know what? I’m ok with that. At the end of the day, hushpuppies are easy to make and quite delicious! 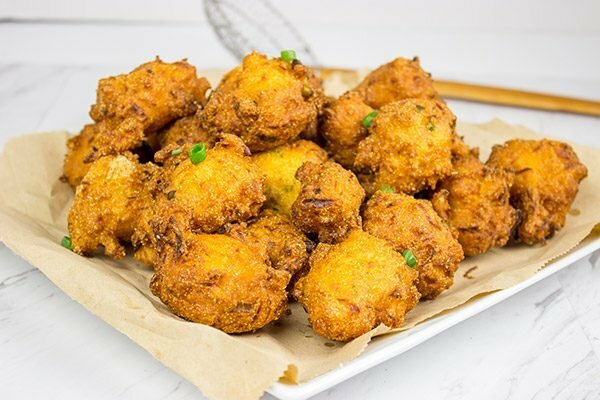 Hushpuppies are typically served as a side dish with fried fish. After all, nothing beats a fried main course like a fried side dish, too, right? And since they often show up at fish fries, hushpuppies are typically served with tartar sauce for dipping. But when it comes to the sauce, I say do what you want to do. I didn’t care for tartar sauce when I was a kid, so I dipped mine in ketchup. These might as well have been called hushsons because a basket of hushpuppies with a side of ketchup would always shut me right up. Hushpuppies are an iconic southern side dish, and they’re a bit hard to find here in the northeast. 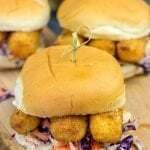 We have a couple of fish fry restaurants near us, but sadly they don’t offer hushpuppies. So I decided to just make my own here at home. Laura walked in from work, took one look at the plate on the counter and said, “Hold up…are those hushpuppies?” Sure enough! 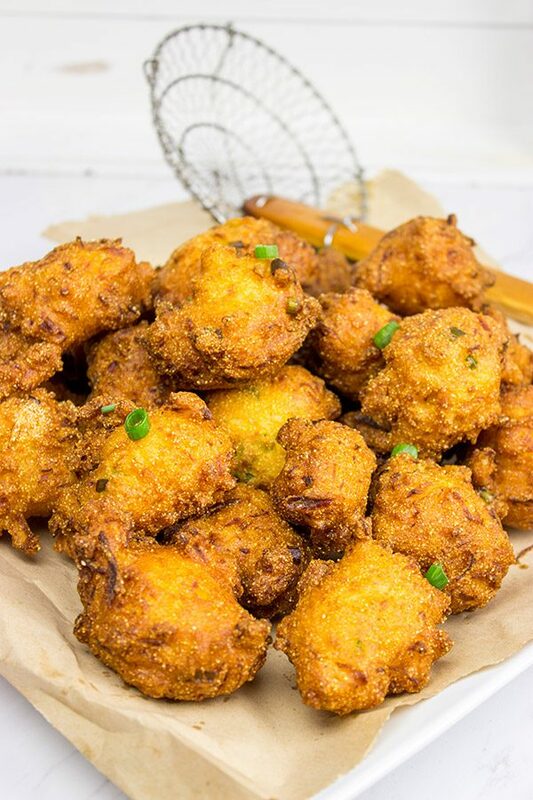 If you can’t find hushpuppies near you (or if you’ve got a dog who barks a lot), then just whip up a batch at home! Enjoy! *On a side note, hushpuppies are not actually safe for dogs as they include onions. Just make your pups a batch of homemade dog bones instead! Using a large bowl, whisk together dry ingredients (cornmeal, flour, baking powder, baking soda and salt). In a separate bowl, whisk together egg, buttermilk, grated onion and green onions. Pour mixture into bowl with dry ingredients and stir just until combined. (Note: Do not overmix or hush puppies will be tough.) Let mixture stand for 10 minutes. 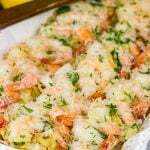 Salt lightly and then serve with tartar sauce for dipping. Our little fur baby loves to bark at the door bell and even barks when there’s a door bell sound from tv. Ugh…what ya gonna do, right? On a side note…a left two comments on your last post, (two because first one didn’t go through, tried again, and second one didn’t either)…not sure why. Hopefully our comments are back up and rolling again, Dawn! Thanks for reaching out and letting me know. Hope you are having a great week! I’ve made cornbread a few times this summer, but never thought of using some batter for hushpuppies. Excited to try now! Oh yes, definitely try making some hushpuppies! I guess the batter is pretty similar to cornbread batter…I never made that connection before. I knew it was from leftover breading for fish, but I didn’t realize the similarity to ‘real’ cornbread. Fun! Either way, definitely make some hushpuppies soon. 🙂 Thanks, Mary! An old roommate from Texas made these for me once (along side some fried chicken), boy do they taste delicious. Never made them myself, by might as well give it a go. I think Brits would love some of these along side their fish and chips! P.S. I had to Google your onion/dog comment. Wow, I had no idea! Thanks from Kodi and Oliver. Also, yes, that onion + dog thing is very serious. It is suspected to be one of the many causes of IMHA…which can be deadly. I know this because Max had a bought with IMHA a number of years back and had to have several emergency blood transfusions. Scary stuff. I don’t think his was caused by onions…but you never know. Well glad Max is well and for the tip. Have a great day! My pleasure, Kevin! Have a great day yourself! Haha…I can think of 2 presidential candidates who would benefit from a plate of these hushpuppies, Tonya! 🙂 Thanks so much!! Max is indeed a great guard dog…as long as no-one actually tries to break in! He sounds quite vicious from the other side of the door. Haha! Hushpuppies are super tasty…even if their origin is a bit murky. Either way, I think most people agree that they came about as a way to use leftover batter. 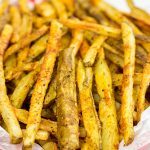 And they’re a classic side dish in the southern parts of the U.S. Thanks, Miriam! And your puppy sounds lovely. I’m sure he loves those windows! I used to have hushpuppies at Long John Silver’s back in the day, and they were my favorite thing ever. I haven’t had them since (shame) so I will have to try these ASAP! Hushpuppies? 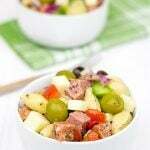 Never heard of this – thanks for another fantastic southern recipe. But I’m kind of relieved no puppies being involved in this one. I’d like to try these guys as a side dish. And then as the main dish too. And perhaps I’ll grab some for dessert too. I mean, did you count how many hushpuppies should you make and send to me, David? 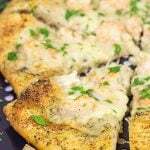 :) Along with tartare sauce, this must be really good. David, these sound amazing! I’ve lived in the South longer than I have lived anywhere else but I’d never heard that story about how hushpuppies happened to come into existence! 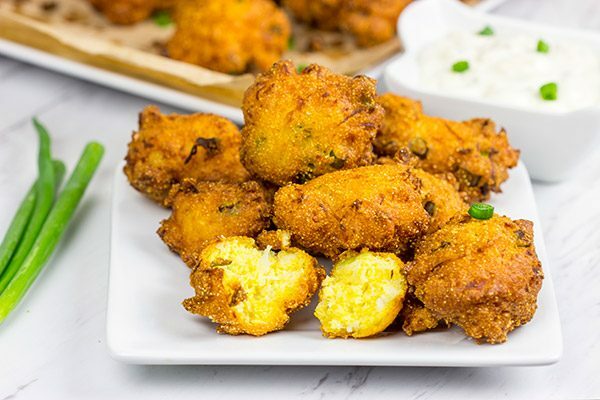 And, speaking of them – I don’t think I’ve ever had a homemade hushpuppy – GOSH, i think I need to re-evaluate the company I keep down here 🙂 Seriously tho, I’m loving the green onion/onion in them – definitely not pup friendly, but more for me right? Max sure has been all around the US with you/y’all – and he is still so energetic! My older dog could care less about what goes on outside – but my younger one is such a nosey Nelly – come to think of it, I think he needs a name change to Nelly from Ollie! Homemade hushpuppies are the best, Shashi! Sure, they involve frying…but the taste is out of this world good. 🙂 And to think these came about as a way to avoid wasting food. You’re right…Max is one energetic pup. I’ve started seeing some of the signs of old age, but I refuse to accept it. It’s crazy when I stop and think that he’s been with me since right after I graduated from college. NC to Louisiana to Atlanta to NY. He’s a well-traveled dog. (But still no hushpuppies for him!) Thanks, Shashi…hope you and the lil one have a great long weekend! I haven’t had hushpuppies in ages. These look yummy! Now you have me craving and thinking about hushpuppies. Hey, it’s the long weekend! Treat yourself with a batch of homemade hushpuppies, Dawn! 🙂 Hope you and your family have a great Labor Day! Aren’t those stories that are passed down from generation to generation just the best? You can totally make these at home, Megan…and they’re better than a lot of the restaurant versions. Sure, it involves frying which I don’t do a lot here at home…but this one is worth it! Hope you and the family have a great (hushpuppy-filled) long weekend! So interesting where the name of these came from! Would you believe I’ve never had a hushpuppie before?! I’m so ashamed. oh wow i’ve never ever seen and tried this before. it must be so good i guest. 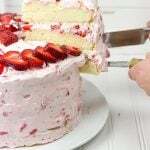 forwarding more recipe from you, David. they are always exciting to me. Hey there, Marci! 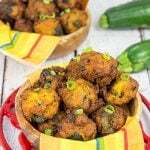 Hushpuppies made with squash? That’s a new one to me, but I am actually REALLY intrigued by the idea. I assume they shredded the squash and then mixed that with other ingredients to create a batter of sorts? I’ve never heard of squashpuppies, but I am totally putting it on my list to learn more about. If you do come across a recipe, will you let me know? I’d love to take a look! (And I’ll be doing some playing around on my own in the meantime. I love learning about new ideas…so I appreciate you passing this one along.) Cheers, my friend! Also, I really want fried catfish now…haha.